Popeye was tough, but you are tougher! Always the athlete, you'll use any excuse to highlight your healthy habits and huge muscles—even Halloween! 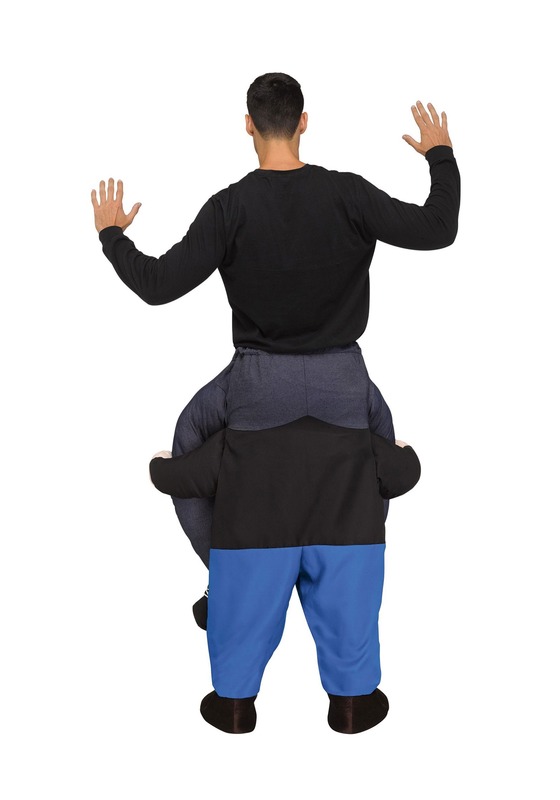 It can be hard to find costumes that fit your niche needs, but we think we've done it. And honestly, we have a lot of questions for Popeye, such as: Why are Olive Oyl's hands so huge in comparison to her body (no judgment)? Have you tried kale since it hit the scene or are you still a spinach guy? Can we please meet Jeep? So, we're glad to see you'll be bringing the famed sailor man along (or is it the other way around?) 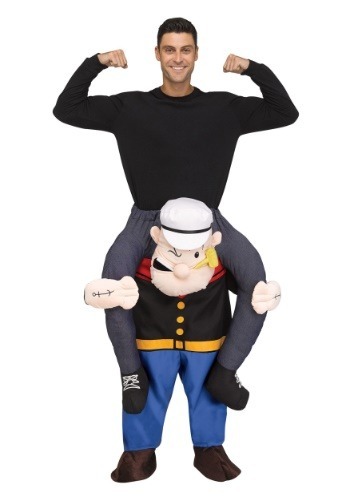 in this Adult Ride On Popeye Costume. You two are a real pair! His face is all scrunched up in a seemingly concerted effort—it takes a lot to lug your big muscles around all night in a very funny faux piggyback ride! It will crack up your friends and make you feel pretty pumped to keep getting big and strong. Just beware that Bluto isn't lurking around the party; it may be hard to hold Popeye back from a fight, and you'll be pulled right into the action! Also, we want to remind you that candy, while delicious, does not actually make you big and strong! That's right, this outfit is as good as it looks! You won't even need to down your spinach before heading out for the night, that's how energizing this ensemble is. Your legs will appear to be slung over Popeye's shoulders, when really they're filling out his blue pants and black shoes. Your hands will be free to flex, do pull-ups, or boogie on the dance floor. It's Popeye who's doing all the work—you can relax and enjoy yourself tonight! So, if you've been looking for the perfect costume to represent your health and humor, this is it! You can strut into the Halloween bash feeling big and powerful—with Popeye by your side (OK, holding you up) nothing can go wrong tonight!